Lake Oswego Public Library, April 2006. Staff meeting in Children's Dept. Description [on photo] Story Corner. 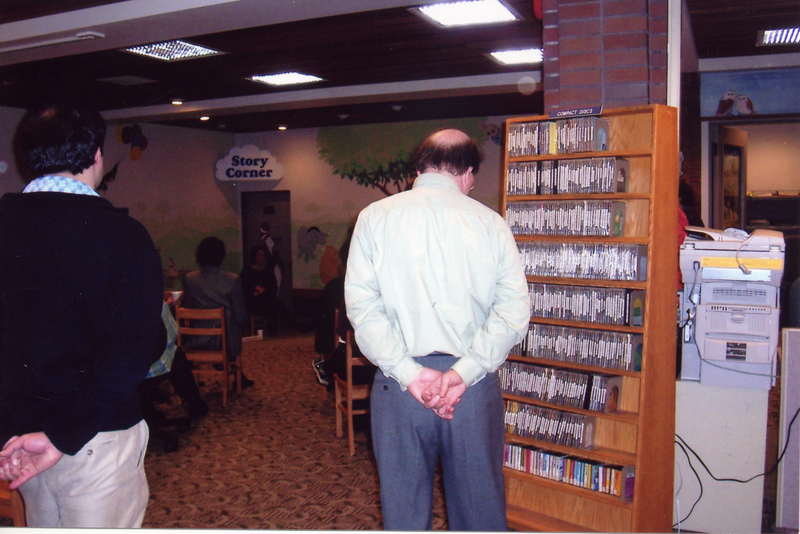 Second library located at 706 4th St. Bill Baars at center. Transcription Lake Oswego Public Library, April 2006. Staff meeting in Children's Dept.